Wondering if you could find an easy way out to have you covered for those health care costs that Original Medicare does not cover completely? What you may need is a good plan that helps you get insurance coverage for anything and everything from dental care to your vision, giving you complete peace of mind. Or perhaps you need a plan that allows you to see any doctor, and doesn't break the bank? With the different types of Medicare Advantage and Medigap plans (Medicare Supplement) available, how do you know what’s the right choice for you? 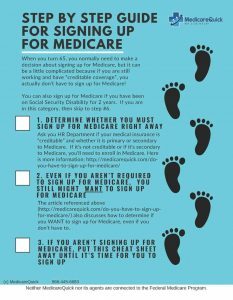 Not all plans, for instance, offer dental care, and if you are heading out on a vacation or living in another country for a while, Original medicare doesn't help. The U.S. government, through Medicare, offers Parts A and B which cover some of your medical expenses once you turn 65, or become disabled. The remaining medical expenses which are not covered by Parts A and B constitute the ‘gap’ in health insurance. These include skilled services and hospitalization expenses. In order to provide coverage for these, Medigap plans have been introduced by several health insurance companies under the guidelines of the federal government. Each insurance company offers the exact same plan under the same plan letter. For example, a Plan N with one company will provide the exact same coverage as a Plan N with another company. This means the only difference in the two plans is the cost. (However, there are some other differences you should look out for. This includes customer service, and rate increase history). 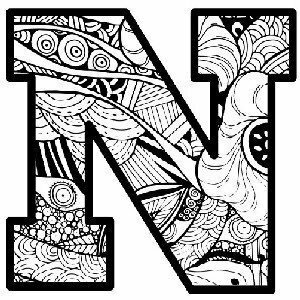 When can you get Medigap Plan N, and who can get it? If you reach the age of 65 and have Medicare Parts A and B, then you are eligible to apply for Medigap Plan N. However, you might not be able to get it if you have medical conditions and are beyond your open enrollment period..
Open enrollment means that you have a “Guaranteed Issue” (GI for short) right within 6 months of obtaining your Part B coverage. GI means that you won't have to answer any medical questions, and the insurance company cannot turn you down. If you enroll yourself after the period of 6 months, you might not be able to get a Medicare Supplement Plan, including Plan N. And, if you are able to get it, your medical conditions might be excluded from coverage for a period of time. The best time to get a Medicare Supplement Plan N is when you are newly enrolled into Part B, and therefor have “GI”. But…it might not be the right time to buy a Plan N, and we'll explore that below. You'll pay the Part B deductible (currently at $183 in 2018). Pay a $20 copay to see a medical provider, such as a doctor. Excess doctor fees apply: You'll pay any excess doctor charges for doctors that don't accept assignment. All care covered under Medigap Plan N can be availed in any part of the country as these are standardized by the federal government. Any provider that accepts Medicare is required to accept Medigap Plan N.
How is Medigap Plan N different from other Medigap Plans? There are 11 types of Medigap plans currently offered by health insurance companies. These include Medigap plan A, B, C, D, F, G, K, L, M, N and high-deductible F.
Medigap Plan N costs less than plans F and G and provides higher benefits as compared to plan A,B, K, L and M. When compared in terms of cost to benefits ratio, Medigap Plan N is definitely a step above others, in the right situation. With Plan N you won't have co-payment when you go into the hospital. Additionally, you won't have a copay when you need blood. Also, no copay or coinsurance for hospice care. And, no copay or coinsurance for Skilled Nursing Care. So what will you pay? You'll pay the Part B deductible, which is $183 in 2018. Part B excess charges will be your responsibility. And you'll pay $20 to see a doctor, and $50 for an emergency room visit. What should you keep in mind before signing up for Medigap Plan N? Before you think about investing in Medigap Plan N, understand the essential details of the plan. In my state of California, doctors are allowed to charge “excess doctor fees”. This means that the doctor can charge up to 15% more than the Medicare approved rate. If the doctor “accepts assignment” this doesn't apply. The Medicare approved rate is $300. In this case, you'd be responsible for the $20 co-pay (and deductible if you haven't met that yet). Plus you'd have to pay the excess doctor fee of $45. Why do excess doctor fees matter? What if your surgeon doesn't accept Medicare Assignment? So that is the real issue with Medicare Supplement Plan N: The excess doctor fees. Before enrolling plan N, there are two important things to keep in mind. Firstly, this plan will not cover your spouse. You will need a separate plan for him/her. Secondly, if you are a prescription drug user, Medigap plan N will not provide coverage for it. You will have to buy a stand alone Medicare Prescription Drug Plan. When is Medigap Plan N not for you? In my opinion, Plan N isn't suitable for people who live in states that allow for excess doctor charges unless they are willing to either double check the whether the doctor accepts Medicare Assignment, or are in such poor health that their doctor would never recommend surgery. The reason is that the risks are high if you have an expensive procedure done by a doctor who doesn't accept assignment. Your out of pocket costs could be very high in this case. Conclusion: If you understand the limitations, Plan N can be an excellent way to save money over Plans F and G. Give us a call at 800-223-2765 and we'll take a look at your personal situation to see what's right for you.